Textured Globe Shades with a repeat floral motif. Mid-century. 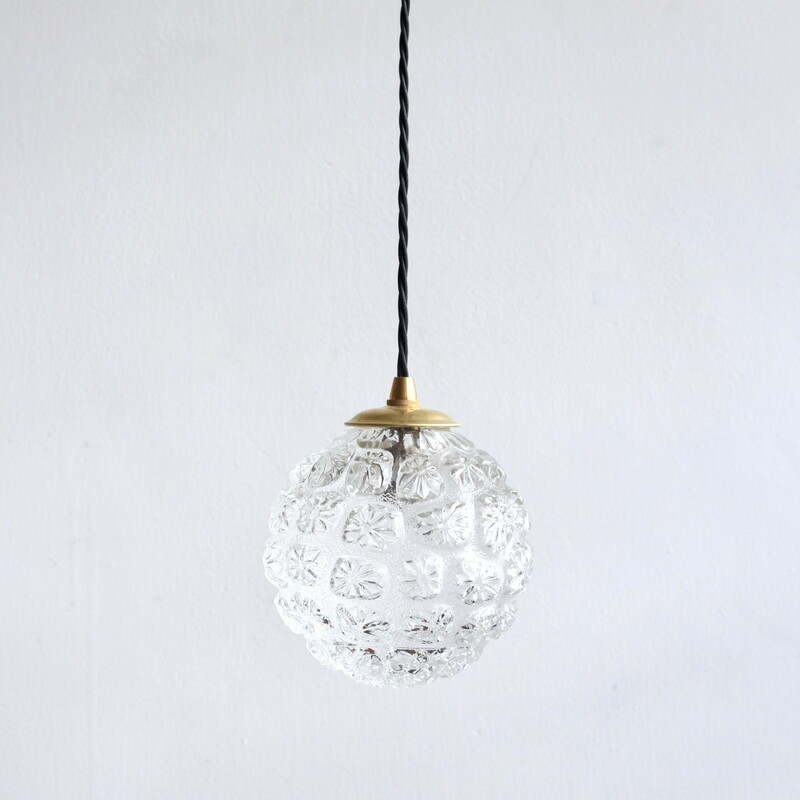 Fully rewired and restored these textured globe shades originate from mid-century France. Made from textured clear glass with a repeat floral motif the shades have been rewired with polished brass cap fittings and black braided flex. Each shade requires a B15 lamp, these are not included. We have multiples of these shades available, please enquire for more information. Priced separately. These textured globe shades have been fully restored and rewired here, in Stockport, near Manchester by our small team of professionals to British standard using new CE standard fittings. To clean dust the metal regularly with a soft cloth. The textured globes shades can then be wiped with a glass cleaner wipe or a cloth that has been sprayed with glass cleaner. A final wipe with a paper towel will give a polished finish.